Q: How old does my student have to be in order to take classes at Wasatch Ballet? 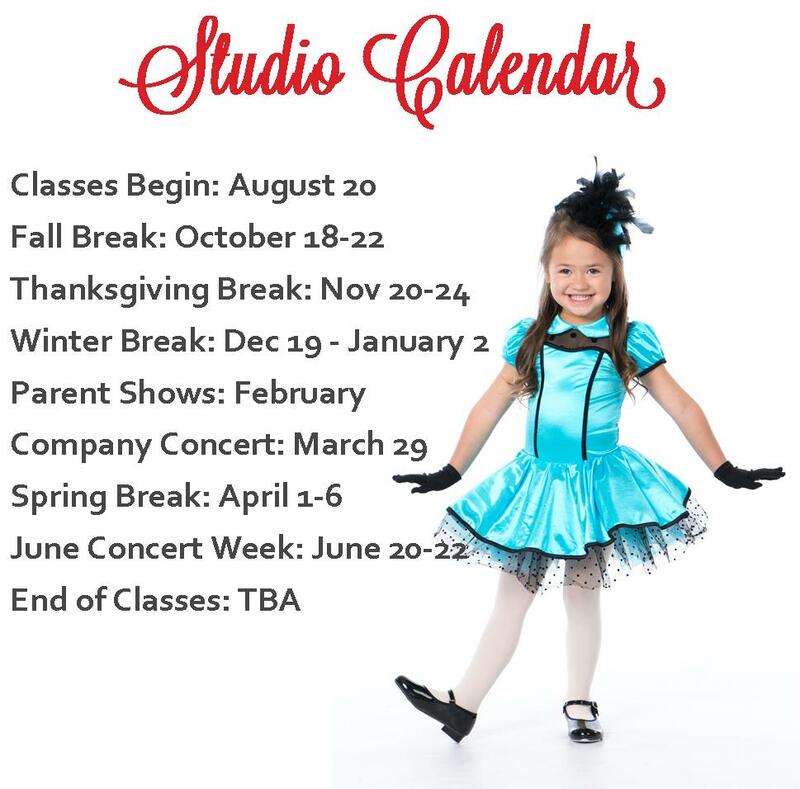 A: Our Dance Expression classes have students as young as 2.5 years of age. Because every child develops at their own pace, we evaluate each child independently to decide if they are ready. When he/she is ready, your child can participate in a well-rounded, conceptual dance class consisting of pre-ballet, tap, jazz, and creative movement. Each class focuses on the basic elements of dance and movement as well as coordination skills, self-expression, and creativity. Throughout the year, students will focus on correct body alignment and poise, develop flexibility and strength, learn basic ballet movements and positions, engage in imaginative movement, and develop rhythm and coordination. In a fun, motivating atmosphere, children will gain a love of dance as well as build a strong dance foundation. Q: Does your studio attend competitions? A: No. We strive to create well-rounded dancers who are able to audition for any company, production or dance team, and make it. To do this, dancers must have great technique, which is what our school focuses on. Our philosophy is that dance is an art form with individual expression, artistry, and a positive environment as priority. Our classes focus on this, as well as technique and style. While enjoying themselves, our dancers acquire a well-rounded dance foundation enabling them to pursue a career in dance, audition for productions or teams, and most importantly, have fun while developing as a dancer and person, in a positive motivating atmosphere. Participation in competitions tends to create an unhealthy atmosphere of competition within the classes and the studio. Also, the competition becomes the main emphasis and technique and artistry are compromised because classes are spent only working on the routine. By not competing we also keep the cost down for students and their parents. Between costumes, travel, and competition fees the price of competition adds up very quickly for participants. We believe that dancers should strive to achieve their own personal goals and we do offer performing opportunities for our dancers but in a positive, dance-as-an-art environment. Please look into our Performing Companies for more information. Q: How is level placement determined? A: Students ages 2-8 who will be participating in our Children’s Program will attend class based upon their age. After initial placement, adjustments to level can be made as necessary. Students ages 7 and up are eligible for our Youth and Pre-Professional Programs. Dancers interested in these classes will be evaluated based on a placement class (designated by our staff). The instructor will carefully evaluate the student's level of ability, sometimes this process takes more than one class to evaluate. The basics are paramount to classical ballet technique, and proper alignment is necessary to avoid injury. We find many schools do not spend enough time on these basics, so don't be alarmed if your child is asked to repeat some skills or start in a lower level that may have been prior, until they are truly mastered. This way we ensure the student will progress much faster and more safely through our program. Q: Why do I have to pay a full month's tuition in months like December when the studio closes for the holidays? A: Tuition is based on a monthly average of 3.89 classes/month, therefore, it is the same if there is two (Dec), three, four, or five classes in the month. Q: When will my child be ready for pointe shoes? A: Many young girls aspire to dance on pointe. Children should not attempt to dance in pointe shoes until they are ready both physically and technically. Going on Pointe before a dancer is ready, or without the proper guidance, may cause serious and long lasting physical problems. This should not be taken lightly. Generally, students may be ready for Pointe Shoes when they are around age 11 and after three years of strong ballet technique. Before going on pointe, the dancer needs to regularly demonstrate correct alignment, strength and flexibility of the legs, feet and back. Typically, our dancers begin pointe work during the year of Youth 2. Students will be evaluated by their teacher on technique, strength, and flexibility, and physical maturity. After individual evaluation, dancers make the transition to pointe shoes. Once on pointe, we carefully guide the dancers in correct technique and placement, enabling them to dance safely and gracefully for years to come. If the student is enrolled in a Pre-pointe/Pointe class, students will participate in the class without pointe shoes. By doing the conditioning and barre exercises, students will work toward building the strength and technique necessary to begin pointe work. Q: What is the dress code, and why is it required? A: Classical ballet training demands correct body alignment and placement, from the earliest stages. The only way an instructor can see this alignment is with the student attired in form-fitting clothing, including tights and leotard (or close-fitting t-shirt for boys). The hair is worn up and off the face and neck, not only so the steps can be executed properly (i.e. head can move freely without hair flying in the face), but also so the instructor can see alignment of the head and neck, which is also important. PLEASE NOTE: Wasatch Ballet’s Dancewear Boutique has the recommended items at affordable prices. Come to our lobby today! DANCE EXPRESSIONS & KIDS COMBO: Girls—Any color of leotard and tights. Pink ballet shoes (canvas split sole preferred) and black tap shoes are recommended. Hair pulled away from the face. Boys—Sweats or tights, t-shirt. Ballet shoes and tap shoes are recommended. JAZZ, COMBO & TAP: Girls&Boys—Any color of tights, leotards, or jazz pants (t-shirt for boys). No jeans or baggy clothing. BALLET: Girls—Black leotard, pink tights, soft pink ballet shoes (canvas split sole). Hair in a bun. No skirts or shorts. Boys—Black sweats or tights, white t-shirt, black shoes. Q: Is there a recital/performance where the family can see what our dancer has accomplished? All WBC students are invited to perform in our Spring Concert in June, at the UVU Ragan Theater. Every class performs in at least two dances but only buys one costume. The Concert is performed three nights. The Concerts are especially fun because we perform original story ballets, which include all styles of dance. Story ballets involve the children in the story line of the show, giving them the chance to learn the acting and mime aspects of ballet. It also allows them more opportunity to be on stage. Dancers are not required to participate in the concert and can still enjoy classes throughout the year. However, most choose to be involved because it is a lot of fun and a great experience. Parent Shows or Class Demonstrations are held during each winter. This is when parents and friends come to class and see what we’ve been working on. An abbreviated version of class is performed which includes a Christmas dance and refreshments are served. It is a fun, low-stress way for students to be able to practice performing for parents and for parents to see the progress the children are making. There is no extra fee for this. Students in Youth 2 and higher are given the opportunity to participate in WBC’s Performing Companies. Students in our most advanced levels will be placed as a member of Wasatch Dance Project, our newest pre-professional company. Acceptance into the companies is by audition only. Companies rehearse once a week and then perform at various venues throughout the area. These performances culminate to an onstage performance at the Covey Center for the Arts. Dancers in the companies are required to be enrolled in and attend corresponding ballet classes. In addition to the enjoyment of performing, students also progress as dancers as well. Dancers may choose to enroll only in the technique classes and not participate in the companies if desired. A: We work on a month-to-month basis so it is not necessary to sign a contract. You can add, drop, or switch classes at anytime, class size permitting. A: Creative Movement is done at the end of our young children’s classes. Stemming from modern dance, the elements of movement, creativity and confidence are learned through guided exercises. The teacher guides the class through a series of exercises, which allow dancers to choose their own steps, encouraging them to try new ways of moving and feeling the movement. Students are taught about moving in a variety of ways such as big and little, fast and slow, sharp and smooth. By the end of the year, dancers have a large vocabulary of movement and have gained the confidence to express themselves through dance in their own creative way. Q: Am I allowed to watch classes? A: Wasatch Ballet is designed with observation windows in all three studios. To keep distractions down, we discourage visitors from sitting inside the studios. Generally, the dancers are more focused and do better when parents are not in the classroom. However, when young students are adapting to classes we will work with you to help your child feel comfortable. Q: Do you offer ballet only classes for my young child? Why do you have combo classes? A: Research and our experience have shown that until children are around 7 or 8 years old, it is hard for them to comprehend and assimilate correct ballet technique. There are so many things to concentrate on in order to do something correctly—a straight back, turnout, pulled up knees, alignment, etc. Children’s bodies are not able to coordinate everything and bad habits are often formed. Yet, young children are ready and able to learn many other aspects of dance. They can learn positions, terminology, rhythm, artistry, and coordination steps that may be used in all dance forms. They really benefit from our classes because we teach self-expression, discipline, coordination, flexibility, rhythm and most of all, a love of dance. We gear our classes toward their developmental level, keeping the student’s attention while providing a well-rounded foundation. During our combination classes, we do teach pre-ballet and some technique. Then, in our Ballet Intro class, for 7 and older, we really begin the concentrated study of ballet, focusing on correct technique and artistry. Q: Is there a difference between dance shoes? Ballet Shoes: We recommend Sansha’s canvas split-sole ballet shoes. The ones sold at Walmart, etc., besides being more expensive, are stiff so when the dancers point their toes, the shoes do not point with them. This is frustrating to the dancer and also does not look good. At WBC, we have the Sansha shoes in stock at similar prices to the Large stores. Jazz Shoes: We recommend black soft, split-soled jazz shoes. The ones sold at Walmart, etc., besides being more expensive, are stiff so when the dancers point their toes, the shoes do not point with them. This is frustrating to the dancer and also does not look good. At WBC, we special order “Revolution” brand jazz shoes at prices similar to the Large stores. We do have a size run of the jazz shoes so dancers can try on and choose the appropriate size. Tap Shoes: For young dancers, there is not a lot of difference in tap shoes. We have some in stock at our retail store at prices similar to the Large stores. Pointe Shoes: We do not require students to wear any particular brand of Pointe Shoes. We realize everyone has a different type of foot and want students to wear the right shoe for their foot. Before purchasing shoes, please discuss the matter with your child’s teacher.